Minister for Law, Justice and Parliamentary Affairs Sher Bahadur Tamang resigned on Tuesday. He was not convicted of corruption nor was he proven to have committed financial irregularities. Tamang had brought this situation onto himself with his own words. On Friday, he had made rather outrageous statement about Nepali female students studying MBBS in Bangladesh. In an event in Kathmandu he had said that Nepali female students in Bangladesh were reportedly “submitting themselves” to their professors to get the degrees. It was a cheap, denigrating and insulting remark. The statement spread like wildfire on social media, triggering public outrage. This became the cause of trouble for Tamang. Political leaders, members of civil society and women rights activists rightly reproached him. Part of the reason why he had to face public backlash was that Durga Prasain, the owner of B and C Medical Hospital who is close to ruling party, had made a similar denigrating remarks about Nepali students studying medical in Bangladesh. Everyone spoke against these two actors. Unlike Prasain who has been spitting venom against Dr Govinda KC, Tamang tried to make amends. He first apologized for the “mistake” but this alone did not help. Tamang had to leave the cabinet full of regret, almost in tears. This is where Nepali political actors who use harsh and insulting words to denigrate their opponents and drive their points home have to learn from. Words can inspire, words can destroy and words have consequences. But this simple wisdom often gets lost among our political leaders. Ruling party and opposition party leaders visibly make acrimonious exchanges against one another. 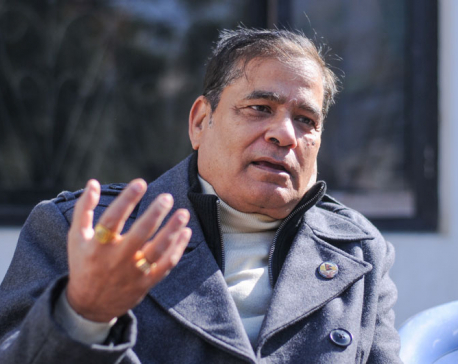 Only on Monday, Pushpa Kamal Dahal, chairman of Nepal Communist Party, accused Nepali Congress of trying to do politics over ‘dead bodies.’ Likewise, Prime Minister K P Sharma Oli has been using unkind words to criticize Dr Govinda KC. This does not help. Oli himself had faced the consequences for using denigrating words to describe Madhesi people during 2015 protests. 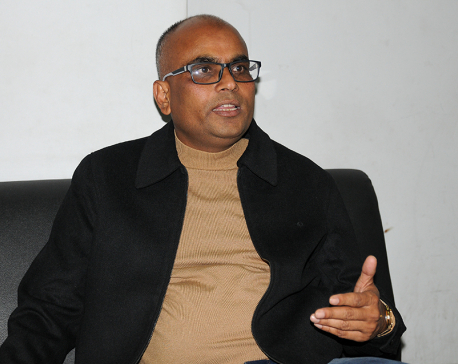 He was accused of undermining dignity of Madhesi people and it took him months to win confidence and trust of Madhesi leaders as well as Madhesi people. When prime minister, ministers and officials holding public positions speak in public forums they represent the state. Therefore, when sitting ministers make mistake, they become subject to public outrage. Sher Bahadur Tamang had started his tenure well. After becoming the minister he had become vocal advocate of much-needed reforms in the judiciary and had vowed to eradicate corruption from this sector. His commitment had resonated well. A single mistake cost him the post and reputation. By stepping down, he has realized his mistake. But the case of Tamang should serve as a lesson for government ministers and other political leaders to choose their words wisely. Nepali people are conscious and they watch every activity and scrutinize every word of their leaders. The emergence of social media has further made public voice stronger. It would do well for politicians and public officials to realize this common wisdom: Words matter, choose them wisely.